Defected are honoured to announce the release of ‘House Masters Frankie Knuckles’, a charity release in collaboration with Def Mix Management and the estate of Frankie Knuckles. The album is a project that began in February 2014, with Frankie hand-selecting the productions and remixes he wanted to include on a retrospective release of his illustrious career. On the sad news of his passing on 31 March 2014, the project was duly paused. Now, with the creation of The Frankie Knuckles Fund established in partnership with the Elton John Aids Foundation, the release will finally see the light of day, with all profits being donated to the charity. Frankie Knuckles left behind one of the greatest house music legacies ever, having made dance music at a spiritual level for nearly four decades. He established both his name and his legacy with the sound he created. Labelled ‘house’ after the Chicago club, The Warehouse, where he played during the late-70s and early-80s, it was a sound that has been copied and adapted by thousands of DJs and producers since. The outpouring of respect, praise and love from every quarter following his death showed just how far his influence reached, and just how much he had meant to people from all walks of life. 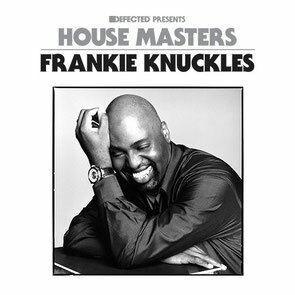 The tracklist for ‘House Masters Frankie Knuckles’ includes many of the most influential and highly-regarded records from the Grammy-winning producer, including ‘Tears’, ‘Your Love’, ‘The Whistle Song’ and ‘Baby Wants To Ride’ alongside seminal remixes for Alison Limerick, Inner City, Chaka Khan, Hercules & Love Affair, First Choice and Pet Shop Boys. 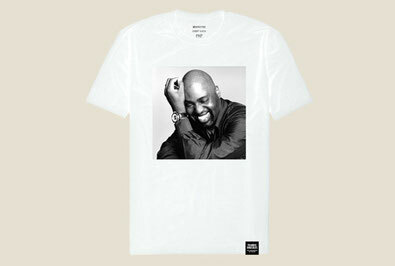 'Defected Presents House Masters Frankie Knuckles’ is out 26 April.